They master the art of surrendering to music without an instrument. The world's best air guitarists are competing in Finland â" and they hope to change the world, too. 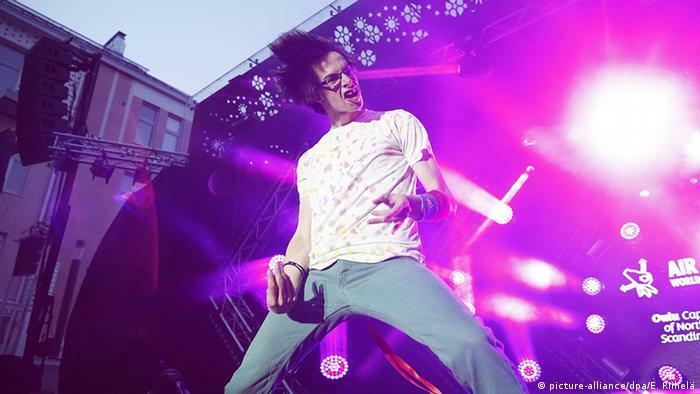 The elite among the international air guitar scene don't just gather each year in the Finnish city of Oulu to shake their long hair and jump around on stage, but also to strive for loftier humanitarian goals. According to the ideology of the Air Guitar World Championships, as stated on the official website, "wars would end, climate change stop and all bad things disappear, if all the people in the world played the air guitar." 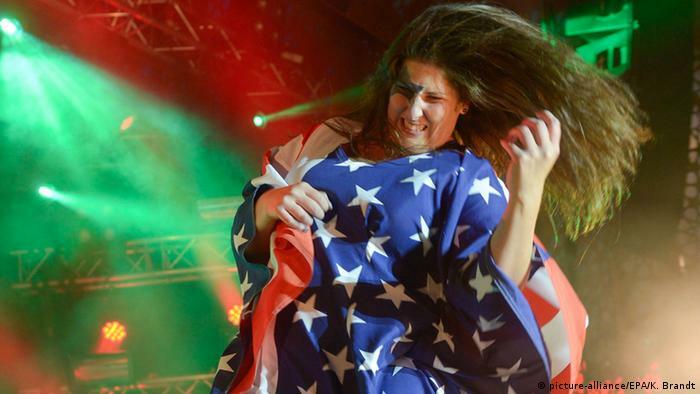 Contestants from six countries are gearing up for the final of the air guitar world championships on Friday, organizers said. Contestants are judged on their ability to pretend to strum rock or heavy metal electric guitar solos â" minus the instrument. Invisible acoustic guitars are also allowed. The final features 15 contestants, including the American Matt Burns (top photo), who was crowned world champion at the 22nd edition of the annual event last year. The US dominates the contest's l ine-up with six entries. Three other finalists are from Australia, while Germany and Japan have two each. Six female air guitarists are among the contenders. Gold, silver and bronze medals are handed out at the grand finale on Friday night. The winner also receives the one thing he or she needs most: an actual guitar. Click through the gallery below for other unusual world championships. Allegedly, the grandfather of air guitaring is Joe Cocker. He even did it during his famous Woodstock show in 1969. While the hippies gave him a skeptical look back in the day, the "lightest instrument in the world" is now world famous. There is a world championship held in Oulu, Finland. Joe Cocker might have had quite a chance with his performance. The High Heel Drag Queen Race originated in Washington, D.C., where drag queens have been "crossing the line" and competing on stilettos for the past 30 years. The race has since spread all over the world. Most contests have strict rules regarding the length and width of the heels. The winner's secret: long steps and don't roll your feet! 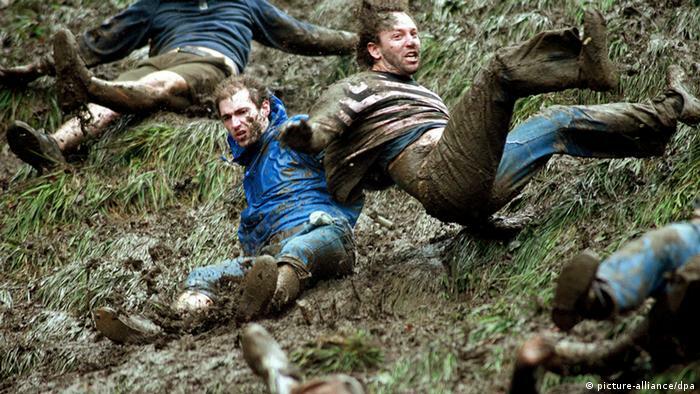 A cheese wheel is rolled down a steep hill at up to 70 mph and dozens of Brits run after it. Sound like fun? Though it's nearly impossible to actually catch the cheese round, whoever reaches the bottom of the hill first wins anyways. Broken bones and other injuries are not uncomm on, yet hundreds of fans come to Gloucestershire to witness the spectacle. Back in the day, hunters used to imitate the call of male deers in order to attract females. 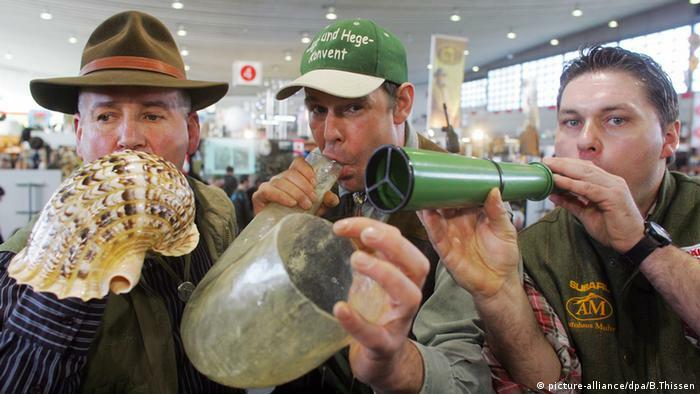 Today, it's more of a hobby - and a competition at Europe's largest hunting fair, "Jagd & Hund," in Dortmund. Contestants use plastic pipes, snail shells or ox horns to bellow. Competitors not only have to imitate the call of a young deer, but also the deeper, angrier one of older deer. The best call wins. It's not about wrinkle-free laundry. 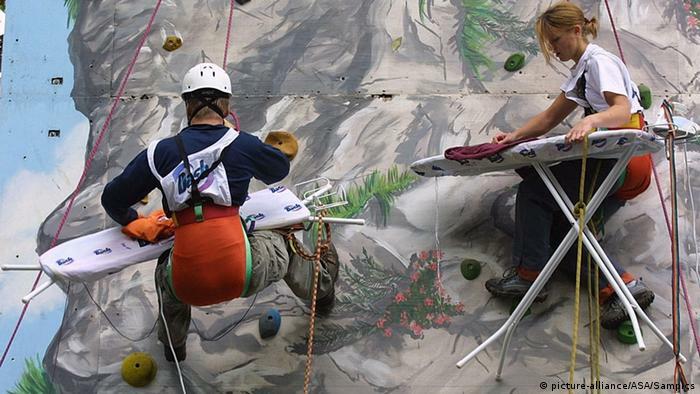 Extreme ironing is much more about extraordinary places. The world c hampionship has several teams completing a course at several locations: underwater, in a forest, on a climbing wall, or on top of a car. Whoever is the most creative and finishes their laundry the fastest is the winner. The "sport" has its roots in England. This year's festival at Ludwigshafen will offer a broader program, including an international film selection. Here are some of the films and awards to look out for. V.S. Naipaul, the Nobel Prize-wi nning British author who analyzed postcolonialism, has died in London. The Trinidad-born son of an Indian civil servant and Oxford graduate wrote the best-seller A House for Mr. Biswas. Camila Cabello and Cardi B were the big winners at the MTV Music Awards. But an old friend stole the show, and she was celebrated by the audience like a pioneer: J.Lo is back. Berlin's international contemporary dance festival pushes the edge of the envelope in 2018, pairing ballet with impressive stunts â" as daring dancers and muscular acrobats cheat gravity on stage. With the Gamescom underway in Cologne through August 25, here's an exploration of video games set in Germany. There aren't that many. 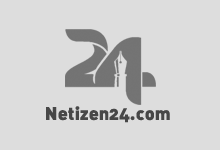 President NiinistÃ¶: Finland's NATO membership "a possibility"